Gugla added a comment to T58946: DX11 error : buffer Map failed : DXGI_ERROR_DEVICE_REMOVED. Hi, I've had the same problem. My GeForce 760 crashed very offen. But no only arma crashed, UE map makes me the same problem. Gugla added a comment to T73004: Moon lighting via Sun off-angle?. 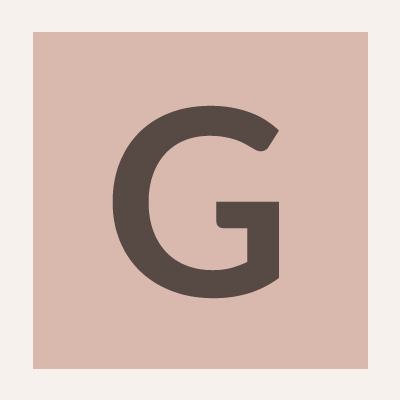 Gugla added a comment to T72751: Lack of counds. Gugla added a comment to T71848: Airport building lights are either off or very dim. We did upgrade a marketlight technology, please check it in game. Gugla added a comment to T71076: Night Sky is too boring. Now are stars actually illuminate. Therefore are visible only if light of environmental is lower than emisive values for stars. This emmisive value is possible changed by config. If you think use a picture as stars texture, it's not possible now. Hi Rogerx, lastest patch fixed zooming stars in the sky. Before you was able zoom star to pinpong ball size :) This state was wrongly. Now you are not able zoom stars by eyes or simple telescope, and this is right. I see one problem, we have very small count of real stars, so if you look through optics, you will see only one - three of stars. This is not real. It we want change in the future. I understand you. I think that is still big a part of a work in the sky (night and day). Gugla added a comment to T70723: NIght is broken. Gugla added a comment to T69420: Shadows on some trees are broken. Fixed for next update on steam, Thanks for you feedback. Gugla added a comment to T67831: One type of tree in the storm wrongly portrayed. I don't see on my computer, please can you prepare repro steps ? Thanks very much. Gugla added a comment to T67516: Stars disappear from clear parts of partly overcast sky. Hi at start of mission I see stars correct (between clouds). If I move time Overcast is very quickly 0.87 and more. This value set up very thick layer of clouds a through this clouds you cannot see stars. level of overcast is very quickly 0.85 and more? level of clouds isn't correct for this level of Overcast ? day and nigth same situation is different ? Thanks Ceeeb, I understand now and I will check it. Gugla added a comment to T67259: Straw grass appear glitched after explosions near it. Don't worry, we will still upgrade and improve lighting setup. Hi, thank you for your attention, I will prepare update light setup fon day and night and I try doing night more dark, a star less bright. Thanks Rogerx for your interesting comments. Now we don't have option setup separate night sky for full moon or moonless. We don't have option setup the night sky for a city area or a ocean area. I must setup value as like compromise for these areas. I think that a test with the aperture from Nicolii is good a way for resolved this a problem. Thanks for your feedback, is it a problem with a compas and a watch still actual ? Stars are ok, but point texture is ugly, I want change this texturu for all effect, where is this texture used. HI, I am glad, that you are so good observers. I agree with Anachoretes about blue tone in the night sky. Night sky (clear weather)isn't darkness black. But I agree with Nicolii and Rogerx than night sky in arma isn't real. The Night sky should be more darness and less blue, but not black. I want to have a wonderful night sky. I will make compromis between camera and human eyes. For camera is night sky totaly black. But for human eyes is the sky more bright than ground and its objects. HI, FeralCircus plaese, can you write me, your trable with dark night? I try it, and if is bad weather in night (star and moon are not visible)I see very dark night. Is it still actual a problem? Thanks for info. Gugla added a comment to T66342: Grenade Launcher White Flares look like a white circle. Hi, this sharp cut at borders are bug, it will fixed, but I want chat about visual effect. I find picture with flare in the sky. I think we don't have only flare over strong light. I would like change this point light. Now it is a procedural texture. I have a plan use a real photo for this effect, but now isn't a free programmer for this change. I'm sorry, we must wait. Hi, this is not flare, it is volume point light (used exaple as position light). Flare is not visible for large distance. I am not happy about this effect. I will want change this solution. Thank you very much for a feedback. Gugla added a comment to T66181: Bullets pass through the white trees. Gugla added a comment to T65974: Night to bright if moon is under the skyline. Hi, Thanks for feedback, I think You are able see, dark horizont vs. lighter night sky. At photo you can see full dark horizont and sky. There matter how shutter you used. If is overast 1 (in Arma), in scene is very dark light and horizont is not conspicuous. I spent full night out and all the time I still saw border between horizont and sky. Gugla added a comment to T65622: bushes with lod problem. Gugla added a comment to T65447: tree crowns disappear when zoomed in (specific tree type). Please better repro steps, thanks. I see all lods correct. I zooming on cca 150m. How is it your video settings? Gugla added a comment to T65429: Foliage doesn't have that 'sheen' from reflecting light. 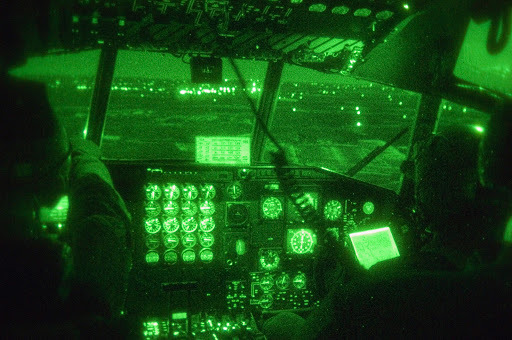 Gugla added a comment to T65170: The cockpit of the helicopter is unreadable using night-vision goggles..
Hi, a look at this pictures. I agree that is needs change, display in interiors aircraft must stay readable. I find picture with power light on turn on displays: http://lh4.ggpht.com/-vps-o26CYX8/R-QOztRNi8I/AAAAAAABUnU/cHRGpHjm3eY/080319-F-7338M-115%252520NVG%252520View.jpg but I don't now, what aperture was used. For steam I think will be early. Gugla added a comment to T63926: Proper lightning only during night time. Gugla added a comment to T63747: Night sky. Hi, thanks for your feedback, this is a problem with point light technology. Now is volume of light made use procedural gradient for pointFlare. For next time, we will want change this technology and draw more realistic effect. Gugla added a comment to T63704: Sight of weapon is blue when you look at lights of Offroad truck at night. Hi, I trying repair this bug, but I see all corect. Please check it again, Thank you. Gugla added a comment to T62481: No Shadows In Overcast Weather. Hi, thanks for your feedback. This is very important part of scene. Light and shadows are the basic for good look of scene. We will work on it, but it is not simple. SSAO can't render good this ambient shadow, we must use other of technology. Gugla added a comment to T62215: Big Broccoli Trees Cause Massive FPS Drop (image included). I'm sorry for now can not see much space for improvement of this issue. I did lower polycount for some crown of trees and improve shape for more realistic looks. I will try comunicate with programer about this problem. Thanks very much for your time about describe this issue. Hi, I made new version of pine trees. I tried set it more optimize and more natural look. Thanks for a useful video, I will check it in a game. Gugla added a comment to T59443: Bad texture/model on rock. Gugla added a comment to T59221: Bring back blinding sun. Sun will be as now or more better :) Thaks for a good idea. Gugla added a comment to T58934: Clouds visibility morph and change while moving camera. I am Sorry, this is not solvable for this time. We will be try improve it, in next time.